BREXIT talks have been delayed following Theresa May’s dreadful General Election results. 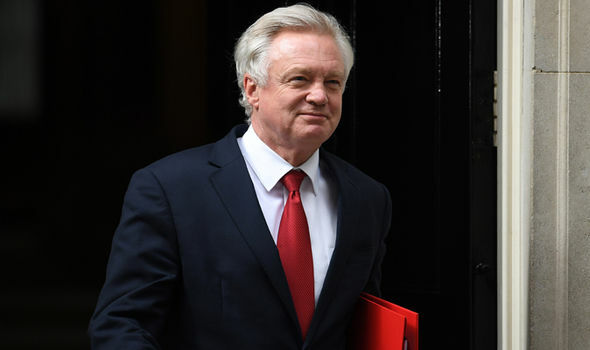 David Davis, the Brexit Secretary, agreed that negotiations may not start on June 19 after a senior member worker within the Brexit department team failed to reach an agreement with the Brussels bloc. Michel Barnier, the EU's chief negotiator, yesterday met Oliver Robbins, the most senior civil servant in the Brexit department, to discuss how talks could proceed but they failed to agree on a start date. A senior diplomat who attended a Tory meeting with Mrs May said she now wants to build a “consensus” on Brexit. The Prime Minister is scrambling to improve her credibility after her party lost their majority in the election she called to strengthen her negotiating position in EU talks. Those advocating a “softer Brexit”, notably in the world of business, are especially keen not to erect new barriers to trade, possibly at the cost of accepting more rules set by the EU in Brussels. 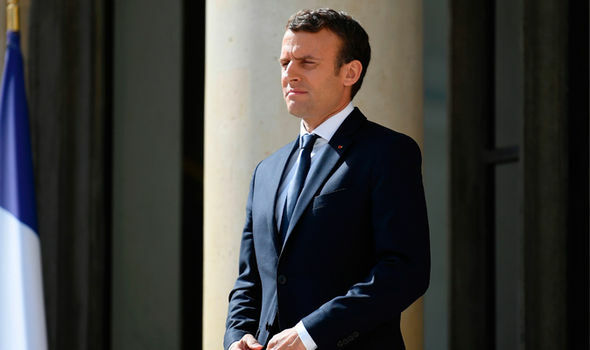 The Prime Minister will attempt to make friends in Europe ahead of Brexit talks and reestablish her authority when she visits French president Emmanuel Macron in Paris on Tuesday evening. Theresa May’s pre–planned trip was meant to focus on the fight against terrorism but Brexit discussions are likely to surface. Mrs May and Mr Macron will announce joint plans to fine social media companies such as Facebook, Twitter and Google if they fail to remove extremist content from their websites. 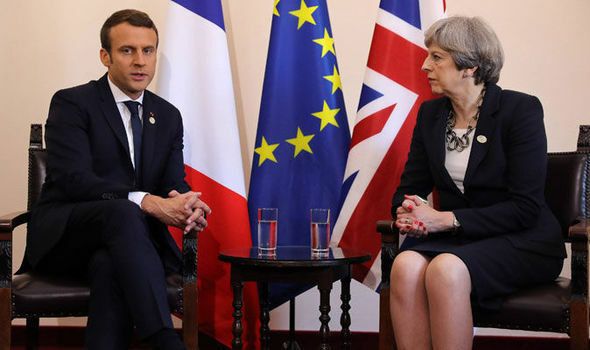 Ahead of her trip, Mrs May said: “The counter-terrorism cooperation between British and French intelligence agencies is already strong but President Macron and I agree that more should be done to tackle the terrorist threat online. “And today I can announce that the UK and France will work together to encourage corporations to do more and abide by their social responsibility to step up their efforts to remove harmful content from their networks. “Including exploring the possibility of creating a new legal liability for tech companies if they fail to remove unacceptable content. Social media companies have long been criticised for not doing more to wipe extremist material including terror manuals from their sites.